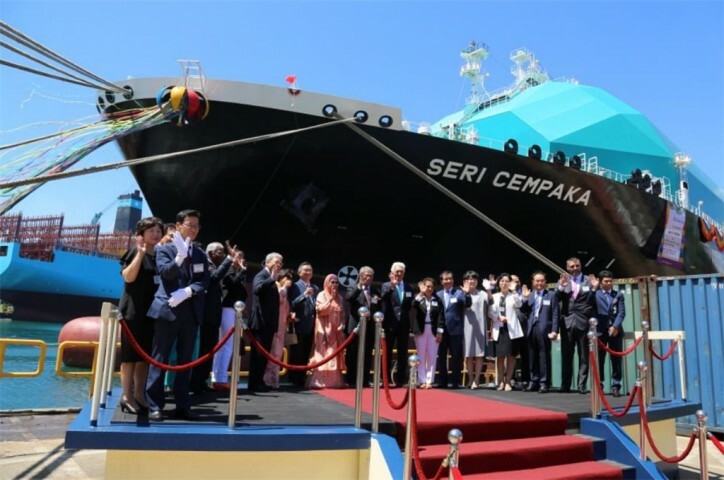 Malaysia’s MISC Berhad (MISC), a world leading energy related maritime solutions and services provider has today taken delivery of Seri Cempaka, the third in a series of five Moss-Type Seri-C Class Liquefied Natural Gas (LNG) carriers. 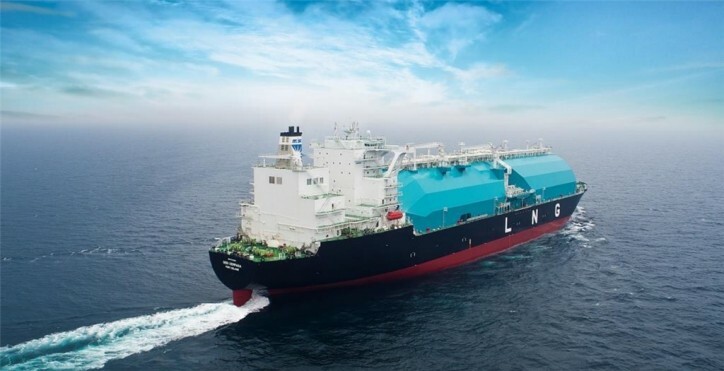 The 150,200 CBM LNG carrier has been built for MISC by Hyundai Heavy Industries (HHI), and benefits from an Integrated Hull Structure (IHS) with four spherical tanks shielded by a continuous cover, fortifying the vessel to allow for operation in even the harshest marine environments. Seri Cempaka joins her sister MOSS-Type newbuilds Seri Cenderawasih, and Seri Camellia on long-term charter to PETRONAS. 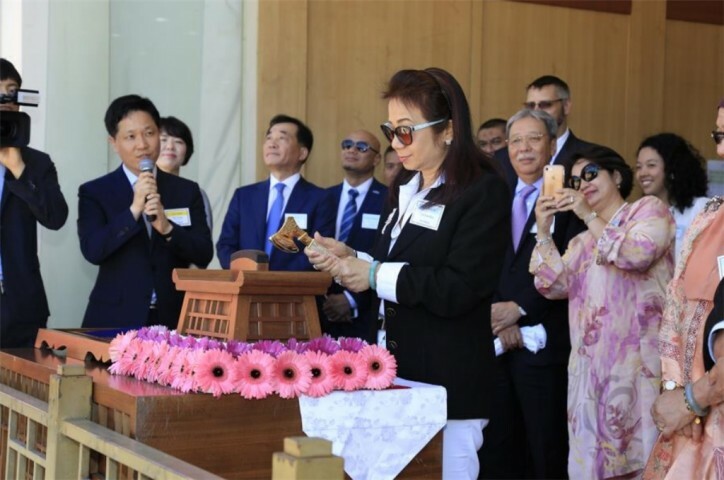 Owned by MISC, the Malaysian-flagged vessel was delivered at a naming ceremony held at the HHI yard in Ulsan, South Korea, attended by Y. Bhg. Datuk George Ratilal, Executive Vice President and Group CFO, PETRONAS and his wife, Lady Sponsor to the vessel, Y. Bhg. Datin Teo Yin Hui. The naming and delivery ceremony today was also attended by MISC’s Chairman, Y. Bhg. Dato’ Ab. Halim Mohyiddin, MISC’s President/Group CEO, Mr. Yee Yang Chien, the President & CEO of Hyundai Heavy Industries Co., Ltd. (HHI) Mr. Hwan-Goo Kang as well as management and representatives from PETRONAS, MISC and HHI. The MOSS-Type newbuilds are part of MISC’s long term fleet expansion programme and have been designed for worldwide trading capability to enable them to call at all 80 LNG receiving terminals and 26 liquefaction terminals in operation worldwide. Its robust and superior cargo containment system allows higher degree of flexibility for MISC to accommodate cargo loading operation at Floating LNG (FLNG) unit. This positions MISC as the first shipowner in the world to have operation experience with an FLNG unit. Along with the unique integrated hull design, the MOSS-Type vessels have been designed to minimise hull resistance, increase propulsion efficiency, reduce power requirements, and reduce CO2 emissions. Energy saving devices include pre-swirl duct and propeller boss cap fins, providing around 4% energy savings at design draft, along with an X-twister rudder for improved maneuvering performance. The delivery of Seri Cempaka brings the current number of MISC’s LNG fleet to 27 vessels, further strengthening MISC’s position as a reliable and safe transporter of LNG. A further two MOSS-Type Seri C Class vessels are under construction in South Korea.